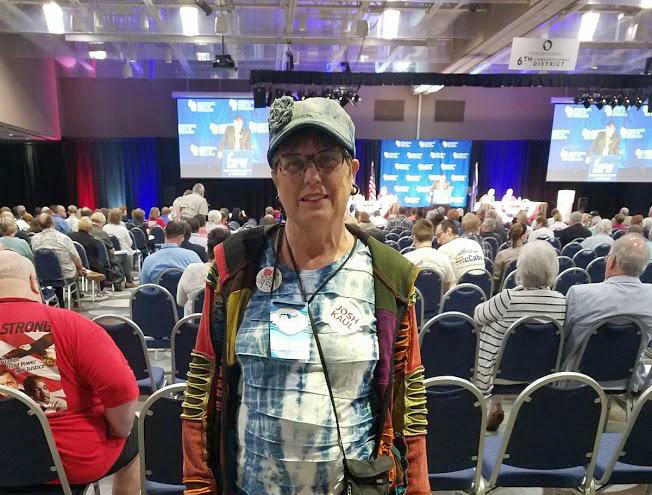 Lee Ann Kingston of Milwaukee stands at the Wisconsin Democratic Convention hall. With all this talk about the "Blue Wave," and Democratic victories in special elections lately -- in Wisconsin and other states, Democrats are gearing up for big fights in November. 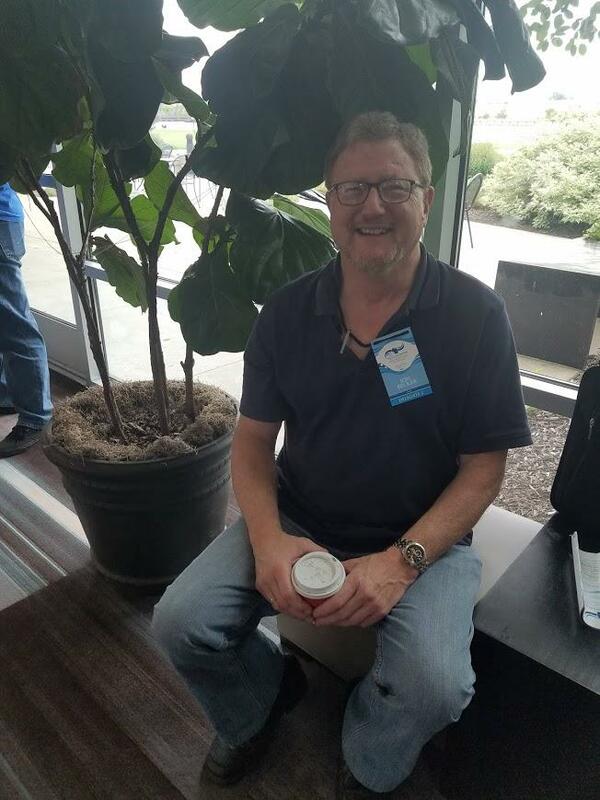 The Democratic Party of Wisconsin held its convention in Oshkosh, where Democrats state-wide converged in effort to unseat Governor Scott Walker, and to make headway in Congress and the state Legislature. 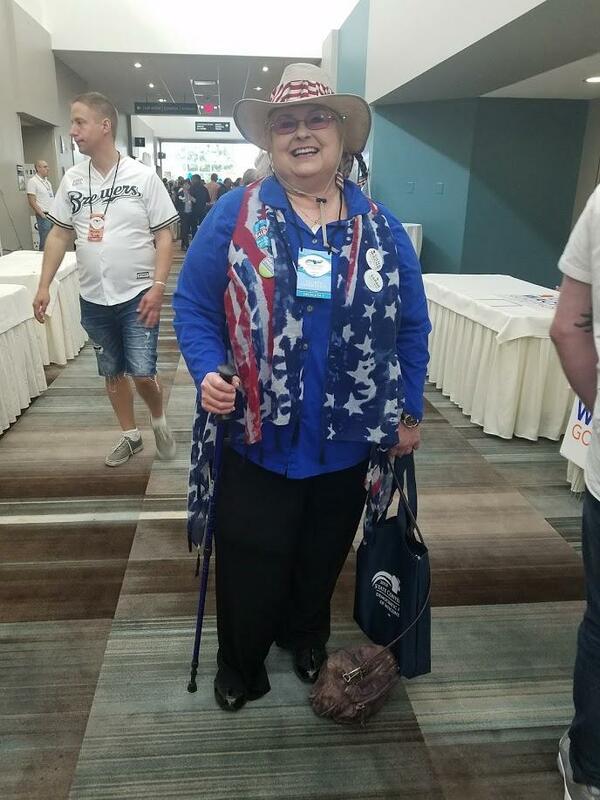 Gloria Hochstein of Eau Claire at the 2018 Wisconsin Democratic Convention. "I want fair wages for everyone. I want families not to have to work at two, three, four jobs in order to make a living," says Gloria Hochstein of Eau Claire. "It's great if everybody's employed, but it's not so great when they're employed doing two, three, four jobs to make ends meet. So that's important to me." 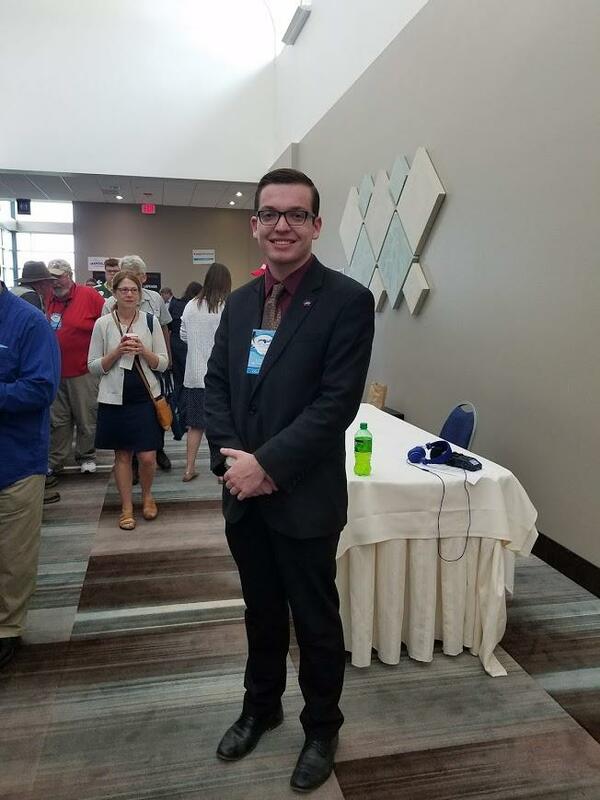 "UW-Stevens Point is proposing to cut 13 humanities programs due to budget cuts and other concerns," says Collin McNamara of Waupaca, a 2018 high school graduate headed to UW-Stevens Point. "This has been a problem growing for a long time, ever since Scott Walker has made our education system public enemy number one, and it's our job to fight for those programs." 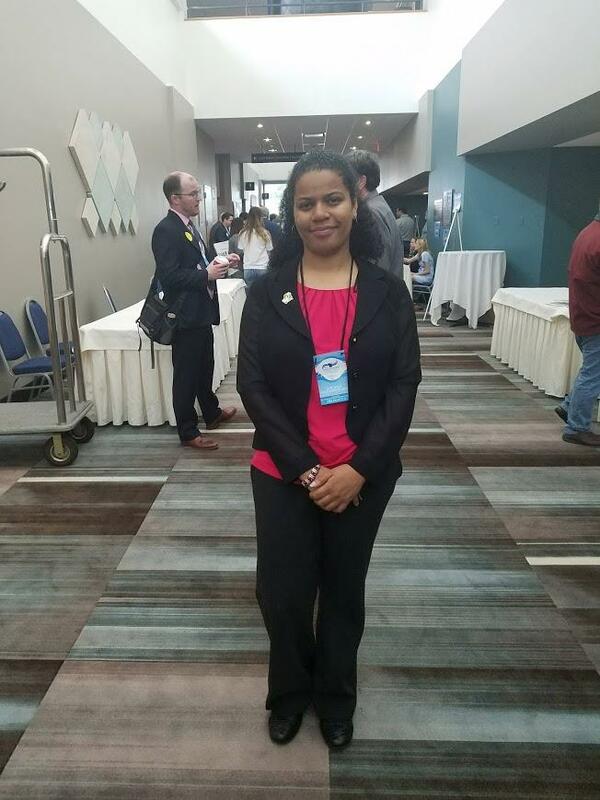 "We've been in talks about trying to set up trainings around the city, and just getting neighborhood people to the workshops," says Solana Patterson-Ramos of Milwaukee, vice-chair of the 4th Congressional District for Young Democrats, of outreach to young people and people of color. "[We want to] have them sit down and learn local politics and what that's all about, and the election world in general and how that is connecting to their lives." "There's no clear cut reason for people to vote one way or the other right now, as there would be with a big recession or some big political scandal," says environmentalist and musician Jon Becker of Madison. "So, it's going to take a lot of hard work for all of us, to get out and do the doors, do the phone calling." 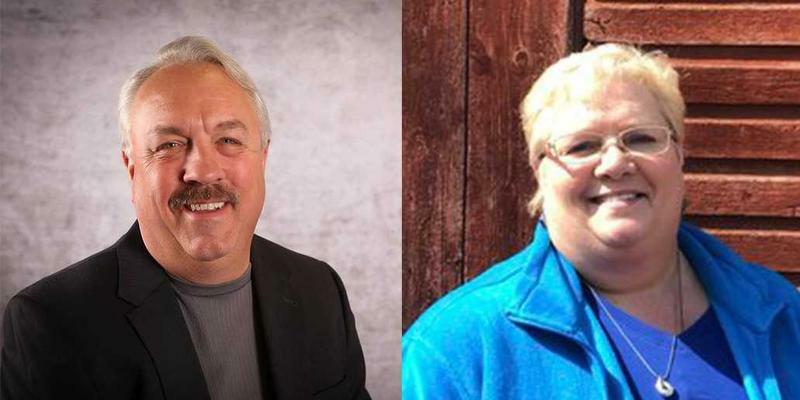 The slate of candidates is set in special elections for two vacant seats in the state Legislature, after primaries last week. Republican Jon Plumer advanced to take on Democrat Ann Groves-Lloyd for an Assembly post, north of Madison. 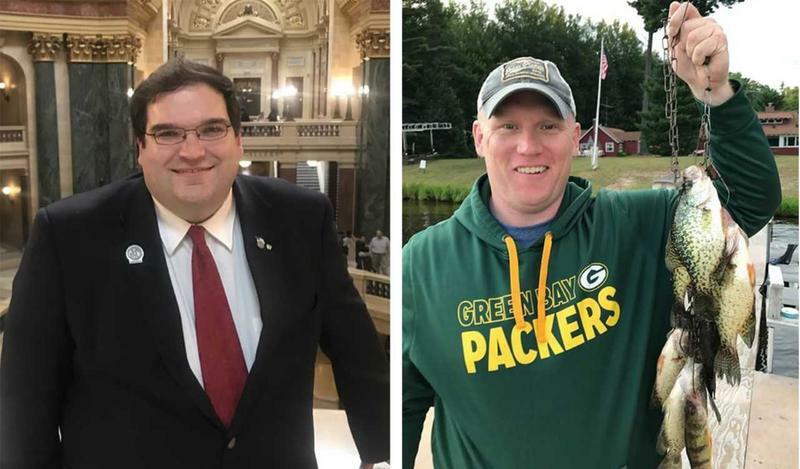 GOP state Rep. Andre Jacque will face Democrat Caleb Frostman, for a Green Bay area Senate seat.